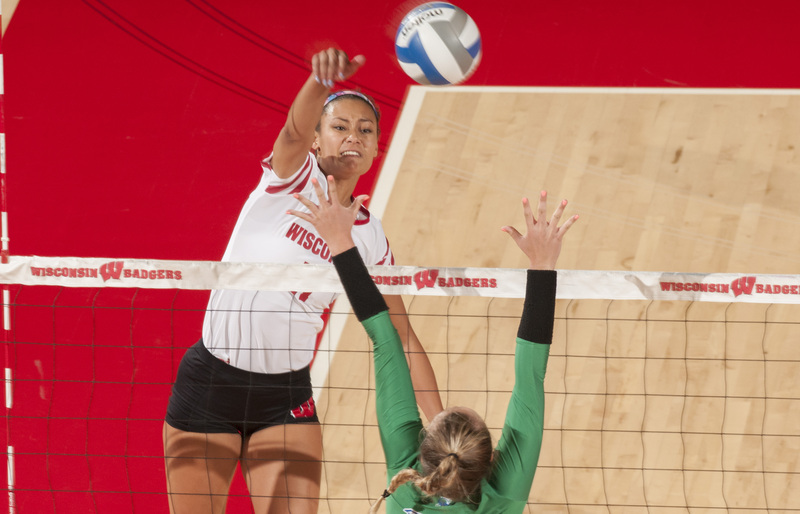 For the fifth straight year, the Wisconsin volleyball team opens the season among the top-10 teams in the nation. The Badgers are ranked No. 9 in the 2018 American Volleyball Coaches Association (AVCA) Top-25 preseason poll, released on Wednesday. It is the 10th time in program history that UW is ranked in the top 10 and the fifth-straight year under head coach Kelly Sheffield. Wisconsin was ranked fourth in 2016, tied for fifth in 2015, sixth in 2014 and seventh in 2017. Stanford leads the preseason poll after advancing to the national semifinals in 2017. Reigning NCAA champion Nebraska ranks second, followed by Texas, Minnesota and Kentucky. Penn State is sixth, followed by Florida, BYU, Wisconsin and Southern California. Three more Big Ten teams are in the top 25. Illinois is 12th, Michigan State 22nd and Purdue is 23rd. That’s seven Big Ten teams in the top 25 and four in the top 10. In addition to the Big Ten opponents, the Badgers will face No. 3 Texas in its home opener on Sept. 1 in the first round of the HotelRED Invitational. UW plays at #16 Baylor on Sept. 7. The Badgers began practice on Wednesday and will host their annual Red vs. White scrimmage on Aug. 18 at 1 p.m. in the UW Field House. The season kicks off on Aug. 24-25 when Wisconsin travels to the Target Center in Minneapolis for the Big Ten/ACC Challenge.